We have become so cost-effective that students and instructors do not have to do their best to practice as I have taught. If they practice daily and attain only 30% of what they attained during the courses I taught them, they would have done well. Hence, it is no surprise that many of our students and some instructors over-train. What are the signs we can use to say that we over-train? Over-training is the result of getting more benefits than our physcial body can cope. The signs are unpleasantlness, nausiousness, tiredness, pain and over-cleansing. Over-cleansing, which is a result of over-training, is a process where we clear away rubbish faster than what our physical body can cope. Rubbish includes bad cells, pain, sickness, negative emotions and perverted views. The signs of over-cleansing are similar to those of over-training, thus the confusion, such as unpleasantness, nausiousness, tiredness and pain, and may also include rashes, pimples, heavy breadth and body ordour. The obvious action to overcome or prevent over-training is to slow down the training. Slowing down the training can be achieved in time or intensity. If a student practices an hour a session, he can slow down by prcticing just 15 minutes a session. If he practices two sessions a day, he can now practice one session a day. If he practices everyday, now he can practice once in two days or three days. In this connection, it is helpful to remind himself that practicing kungfu or chi kung is to enrich his life and the lives of other people, and never to enslave himself to the art. By reducing the time of his training, he now has more time for other worthy activities, which previously he may mistakenly thought he had no time for, like spending more time with his parents or friends, or just watching clouds passing by in the sky. As many of our students and instructors enjoy our training, and also our training time is much shorter than what most other practitioners spend in their training, a more suitable alternative is to reduce the intensity of training to overcome or prevent over-training. To make our training less powerful so that we do not over-train, we do not go too deeply into a chi kung state of mind. Instead of spending a minute, for example, to enter into a chi kung state of mind, we just spend a few seconds. Or we can just go straight to our exercise without first spending time, even a short one, entering into a chi kung state of mind. Even when we do not purposely enter into a chi kung state of mind, we are still in a chi kung state of mind due to our habit, so we are still practicing genuine chi kung or good kungfu. I tried this method at a chi kung course in Madrid recently, and it worked very well. All students, including some fresh beginners, enjoyed an energy flow. It was not as powerful as in other courses, but it was still powerful, and more importantly it best suited the needs of the students. The students were still fresh and energetic at the end of the course, not tired and worn out as in some other courses. For some students and instructors in our school, even not purposely entering into a chi kung state of mind at the start of the exercise may still be too powerful. The next step, in a descending order of steps described here, is to purposely perform the exercise at a physcial level. This is akin to but not the same as the step described previous to this one. At the previous step, we did not purposely enter into a chi kung state of mind, but might perform the exercise in a chi kung state of mind due to habit. At this step we purposely do not enter into a chi kung state of mind, and purposely perform our chi kung or kungfu exercise at a form level. This indeed is what most people who practice genuine chi kung and genuine kungfu do. But this is not what most people who say they practice chi kung and kungfu do. They perform genuine chi kung and genuine kungfu forms as gentle physcial exercise and as kungfu gymnastics. That constitutes more than 80% of chi kung and kungfu practitioners. Less than 20% perform genuine chi kung and genuine kungfu but at a form level. That was also what I did when I took more than a year to generate an energy flow or to develop internal force. When you perform chi kung or kungfu exercise at a form level, you are still performing genuine chi kung and genuine kungfu, and therefore still in a chi kung state of mind — at lease some of the time and not too deeply. Our students and instructors would have no difficulty in understanding what I explain here. But many other people may not understand though they know the dictionary meaning of all the words I have used. Do you know why? It is because they do not have the experience of what I explain, whereas our students and instructors have. Another way is to say that the problem is due to the limitation of words. If a practitioner still finds himself over-training even when he performs the art or exercise at the form level, a remedy is to take negative action. He purposely intellectualizes or purposely tenses his muscles — not all the time but some of the time. When he intellectualizes or tenses his muscles, he brings himself out of the chi kung state of mind. When he is not in the chi kung state of mind, he will not get the benefits of chi kung or internal force which causes over-cleansing in kungfu. At the end of his practice, he must have a short remedial exercise to relax his mind and muscles. Besides reducing the level of training so as not to over-train, which is described above in descending order, one can also spend his excess energy in wholesome activiites. He can performs kungfu sets or combat sequences at a form level. He can also spend his time enjoying with his friends, family or with himself, like hiking, swimming, partying, traveling, socializing, reading and writing. He can also spend his excess energy on his work, like moving goods around in a shop or planning a marketing progreamme for his company. Deviating is getting harmful effects instead of benefits from one’s training. In a mild form it is not getting the result practicing the art or exercise is meant to give, but not suffering from harmful effects. 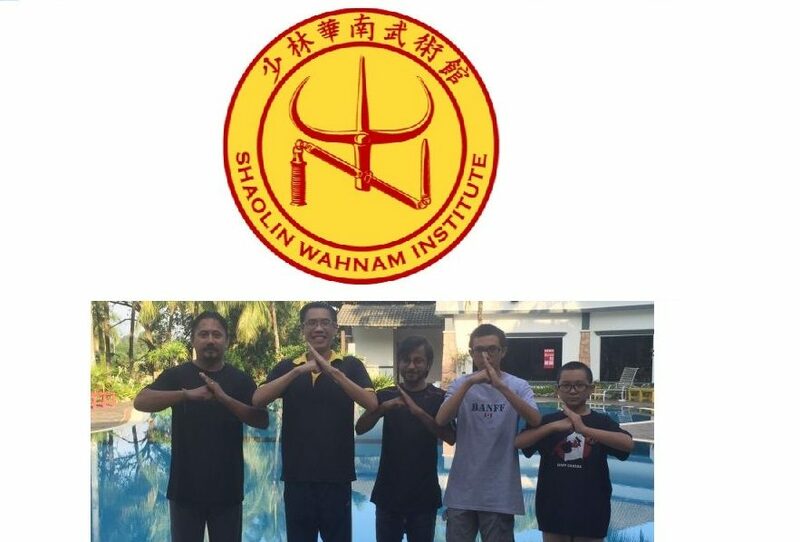 The above article reproduced from Grandmaster Wong’s long answer on Essence of Spiritual Cultivation: Question-Answer 6 bere is quoted by Sifu Nessa Kahila of Shaolin Wahnam Finland on 26th June 2015 in the thread Over-Training and Over-Cleansing in the Shaolin Wahnam Discussion Forum. This entry was posted in Chi Kung, Grandmaster Wong Kiew Kit, Kung Fu, over-cleansing, over-training, safety first, Shaolin, Shaolin Wahnam, Shaolin Wahnam Finland, Sifu Nessa Kahila and tagged chi kung, Grandmaster Wong Kiew Kit, Kung Fu, over-cleansing, over-training, safety first, Shaolin, Shaolin Wahnam, Shaolin Wahnam Finland, Sifu Nessa Kahila on November 7, 2017 by Wei Joo Lee.